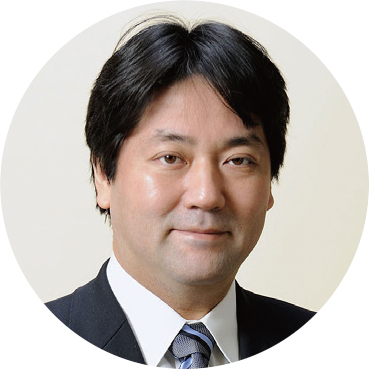 Trained as urban planner at the Depar tment of Urban Engineering, Universit y of Tokyo, where he got MA and Ph.D,, Nobuharu Suzuki has been teaching urban design at University of Tokyo (1995-2000), Kanto Gakuin University (2000-2006) and Yokohama City University (2006-). He is involved in various projects in urban design and conservation planning of historical environment including historic buildings and industrial heritage. In 2015, he was awarded Tamura Akira Machidukuri Award as a member of Koganecho Project Team by Japanese Association of Local Government Policy Studies. He is editor- in-chief of ‘Creativity Moves the City’ (2010), ‘Reading selected ar ticles of Tamura Akira'(2015) and ‘Conservation of urban heritage in Asian big cites'(2017). Trained as planner at the Depar tment of Urban Engineering, Universit y of Tokyo, where he obtained BA, MA, and Dr. Eng. 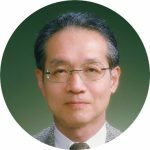 degree in urban planning, Professor Fukuo Akimoto has taught urban and regional planning and environmental design at Tokai University, and city and regional planning at Kyushu University until his retirement in March 2010. Through his career he has pursued his research interest in the urban planning history of California, USA, on which topic he has writ ten a number of papers. The Planning Perspectives ar ticle on the formation process of the idea of land use planning in America was included as one of the top ten of “ the most read ar ticles” when published in 2009. The series of studies on modern planning history as well as public private development in America were awarded by the Architectural Institute of Japan and City Planning Institute of Japan, respectively. Based on his rich research experiences on American urban planning history, his current research focuses on the investigation of previous studies on Japanese modern urban planning history from the perspective of comparative planning history. He has served as a Council member of IPHS and an Editorial Board member for Planning Perspectives since 2008. Trained as physical planner at the Depar tment of Urban Engineering, Universit y of Tokyo, where he got a BA, MA and D Eng. 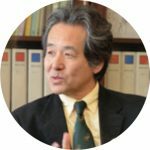 degree in planning, Professor Yukio Nishimura has taught urban planning, urban design and urban conservation planning at the University of Tokyo, his alma mater, until retirement in March 2018. Majoring in conser vation planning, he has also been advising a number of historic cities and towns for their conservation plans throughout Japan as well as a variety of Asian countries, such as Taiwan, Malaysia, Korea, and China. He is chief honorary advisor to the Council for Cultural Af fairs of the Government of Taiwan. He also served as Vice President of the International Council on Monuments and Sites, ICOMOS, whose functions include evaluation of World Cultural Heritage nominations as a consultative body of UNESCO. He is also Vice President of the Asian Planning Schools Association, APSA, as well as author of two award-wining books: ‘Urban Conservation and Urban Design’ (1997), and ‘Urban Conservation Planning’ (2004) (both in Japanese) and six fur ther books. Yukio Nishimura contributed to more than ninety books as coauthor or editor. He worked as UNESCO consultant in many World Heritage Sites, including Lijiang, Lhasa (China), Penang Melaka (Malaysia), Kyongju Seoul (South Korea), and Kathmandu Lumbini (Nepal).